There’s a case to be made that audio on an analog medium like a vinyl record can sound better, at least in some aspects, than a digital music file. Unfortunately, the same can’t be said about video. Alas, a company called Supersense now sells the hardware you need to enjoy an analog video experience again—but do you really want to? 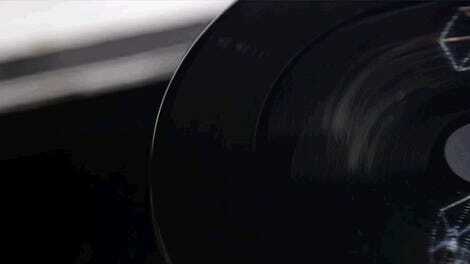 Analog video encoded on vinyl records isn’t a new concept. The experimental Phonovision format, created by John Logie Baird in the late 1920s, used gramophone records to record video, but the format never caught on. Formats like Betacam, and eventually VHS, allowed for vastly superior audio and sound. 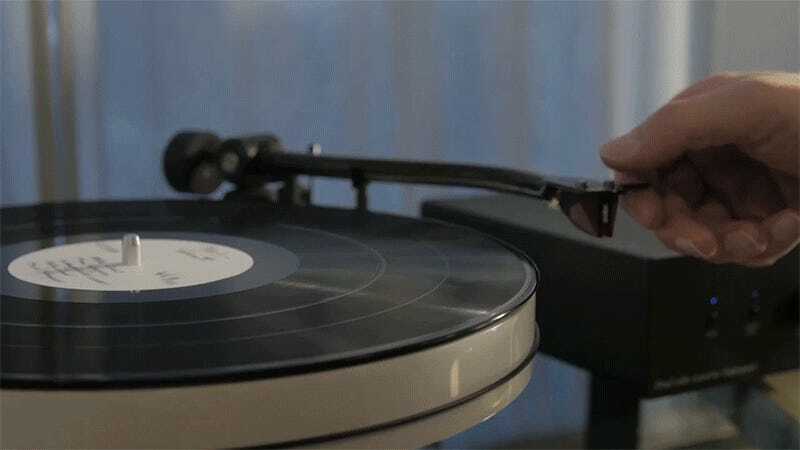 Some 70 years after Phonovision came and went, in 1998, a Vienna-based artist named Gebhard Sengmüller revived the idea of storing analog video on vinyl records. Sengmüller’s VinylVideo system was mostly created as an art installation that toured galleries and interactive exhibits throughout Europe. A small handful of the VinylVideo discs and decoders were sold to private collectors, but it was never a mainstream product. Fast forward 20 more years, and as Mat from YouTube’s Techmoan discovered, a Vienna-based company called Supersense has picked up Gebhard Sengmüller’s VinylVideo torch and is selling a roughly $200 converter box that is essentially the secret sauce to making this format work. You’ll need to provide the turntable (preferably higher-end hardware with a diamond tip stylus) and a TV, but the converter box will take the audio signal coming from a VinylVideo record, boost the signal, and split it into video plus mono audio signals. It even supports modern TVs with an HDMI connection, but don’t expect the results to look any better on your pricey flatscreen. 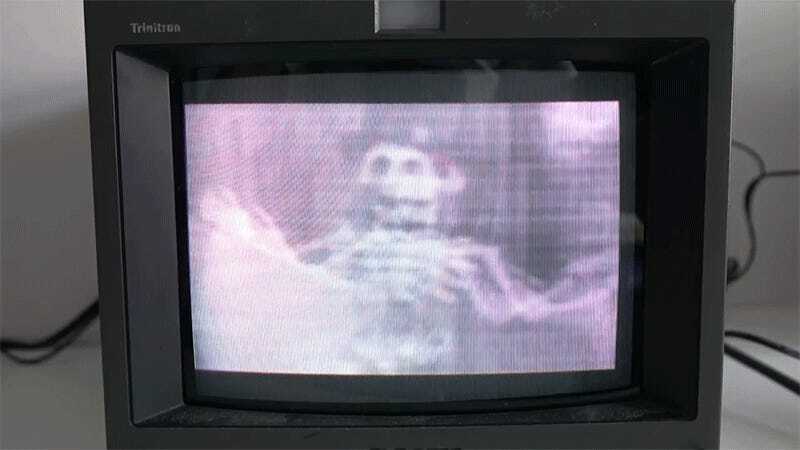 The frame rate stutters, the noisy image is limited to black and white, and the resolution is even worse than formats we now laugh at like VHS. On a technical level, seeing moving video being played from a record is certainly neat, in a nerdy kind of way, but you can also understand why the format never really caught on. Furthermore, not only can you not get any new releases in the VinylVision format, there are actually only five video records you can get your hands on—four of which are available via the Supersense website for about $20 each. Watching entire movies on vinyl would be a pain as each disc can only hold about a music video’s worth of content, a couple of minutes at most. 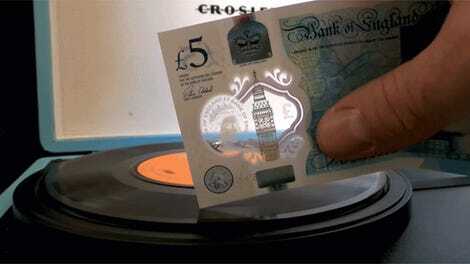 So who on earth is actually going to invest in the VinylVision format? Aside from YouTube bloggers known for digging up ancient tech, this might be the ultimate solution for hipsters who like to brag about not owning a TV, but deep down secretly miss them. At least you’ll never have to deal with an obsessive videophile trying to argue about the ‘warm’ picture of video on vinyl being better than Blu-ray.